HOFFMAN, JOHN EDWARD of Oxford. Died January 12, 2019. He was 90. Born October 1, 1928 in McKeesport, Pennsylvania to the late Jesse and Ida (nee: Beck) Hoffman. He married the former Yvonne Faye Busch on October 11, 1952. She preceded him in death in 1986. 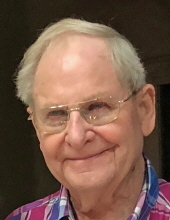 He is survived by two daughters, Barbara Hoffman and Cherisse (Henry) Tebben; three step-children, Robert (Joya) Boord, Sr., Michelle and Danielle Boord; two grandchildren, Robert Boord, Jr. and Malina Boord; he was preceded in death by his longtime companion, Patricia Boord who died January of 2008. John formerly owned and operated along with his late wife Yvonne the Verwood Bar, Lake Orion, the Wildwood Inn in Groveland Twp. and the Groveland Valley Lounge (now the Bottoms Up). He was a veteran of the U.S. Army-Korean Conflict and was a member of the Ortonville VFW. He was known for his sense of humor and quick one liners. He was loved by everyone who met him. Mass of the Resurrection will be 11:00 a.m. Wednesday, January 16, 2019 at St. Anne Catholic Church 825 S. Ortonville Road, Ortonville. Fr. Gerard Frawley, Celebrant. Interment will follow at Ortonville Cemetery. Family will receive friends on Wednesday from 10:00 a.m. until the time of the Mass. Arrangements were entrusted to VILLAGE FUNERAL HOME Ortonville. Memorial contributions may be made to Silver Lake Animal Rescue League, Inc. 1546 Millard, Madison Heights, MI 48071 or your charity of choice. To send flowers or a remembrance gift to the family of JOHN EDWARD HOFFMAN, please visit our Tribute Store. "Email Address" would like to share the life celebration of JOHN EDWARD HOFFMAN. Click on the "link" to go to share a favorite memory or leave a condolence message for the family.